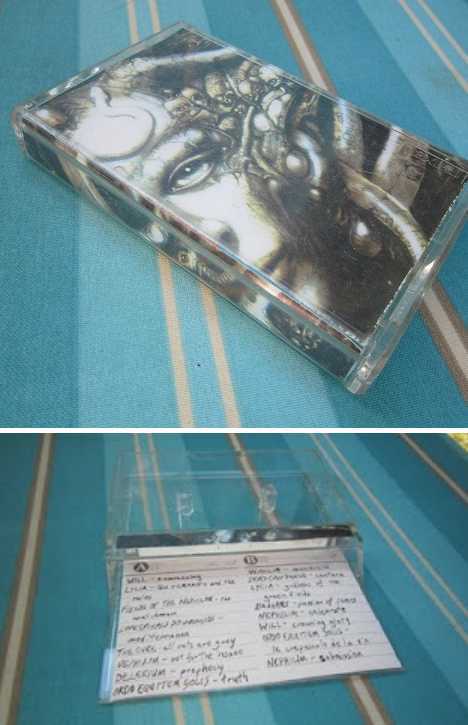 Alas poor mixtape, we knew you well… and you’re not forgotten! 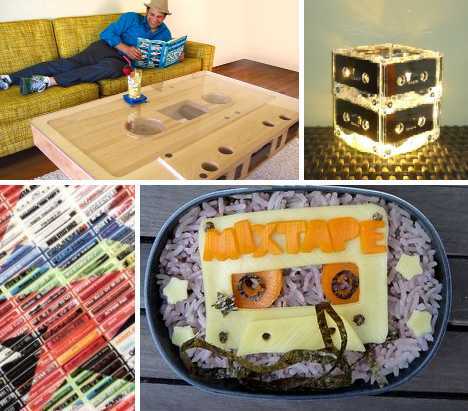 As a now-obsolete personal storehouse of the soundtracks of our lives, the ubiquitous custom recorded cassette tape has given it up to smartphones, iPods and MP3 players but it lives on in our hearts and minds: and in these 10 mixtape tributes. 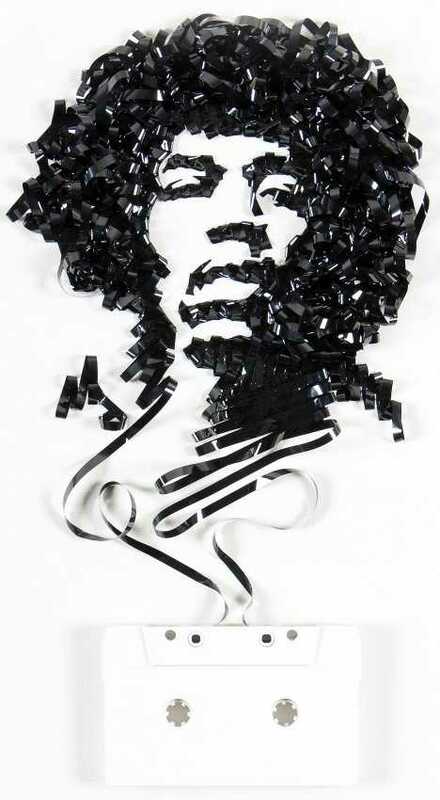 Erika Iris Simmons “Ghost in the Machine” series of artworks displays the spirit of the artists whose music was crystallized on countless mixtapes. Neil Young’s “Rust Never Sleeps” would be an appropriate choice, maybe it’s on Simmons’ list. Simmons takes what for most of us was a disaster – a favorite tape spilling its guts – and turns it into a visually exciting invocation of musical expression. From Dylan to The Clash and more, Simmons’ metallicized ribbons turn one form of entertainment into another, very unexpected one. 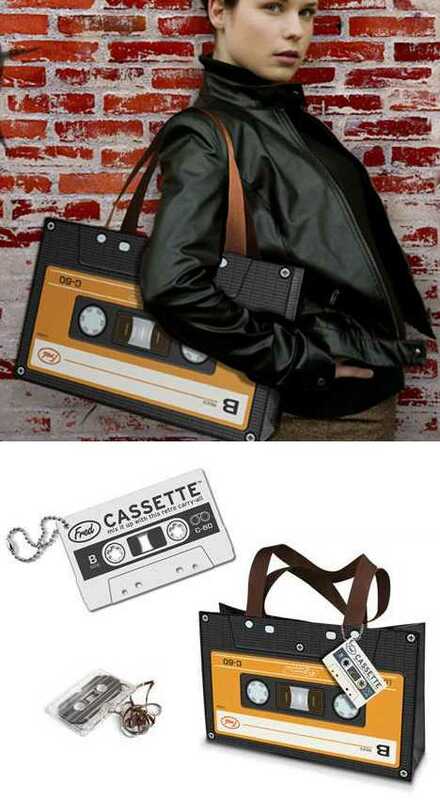 How many cassette tapes could a Cassette Tape Tote Bag tote if a Cassette Tape Tote Bag could tote cassette tapes? Get one and find out! The full-color printed tote may look retro but in today’s anti-plastic-bag environment it’s quite timely indeed. Bonus: the carrying straps look like unspooled tape ribbons. 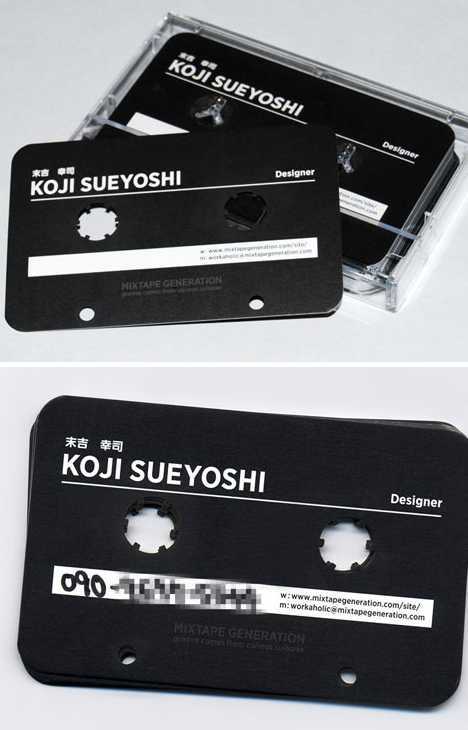 Show potential business associates you’re a forward-thinking man/woman by whipping out Koji Sueyoshi’s cassette-shaped business cards in their accompanying cassette-styled case. Wait a sec, make that “innovative” and not “forward-thinking”, not that you’re “backward-thinking” or anything… ah, too late, they’re gone. Back in the day, kids walked around with Moleskine Mixtape Artist Notebooks covered in real moleskine from real moles we caught with just a stick & a stone. Hah! Now, they’re lining up to put their money down on Hope von Stengel’s neat notebooks made without harming a single hair of a single mole. What’s up with kids these days? 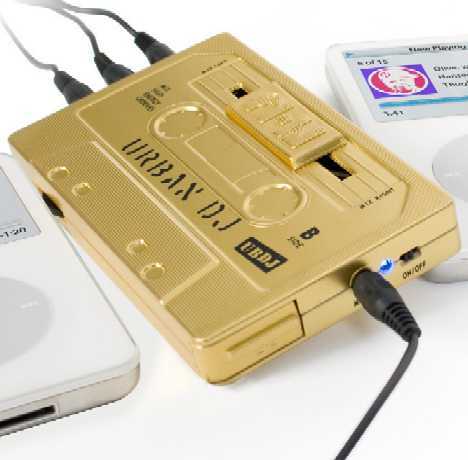 Evoke the glory days of analog mixtape making on the fly with Urban DJ’s Mixtape Portable DJ Mixer! The gold-toned, cassette-styled mixer body features paired 3.5mm inputs, a single 3.5mm headphone socket and a mixer-style cross-fading control. Plug it in, turn it on, and go maximum mobile mixmaster blending tracks from two different portable music players. All this on the power of just two AA batteries? Believe it, back-pocket mixer wannabes, and at just $30 apiece mixing up a storm on the road was never cheaper or easier. How many times did your car stereo eat a favorite mixtape? Well revenge is sweet, my friends… also spicy, salty and slightly bitter depending on Mom’s cooking skills. 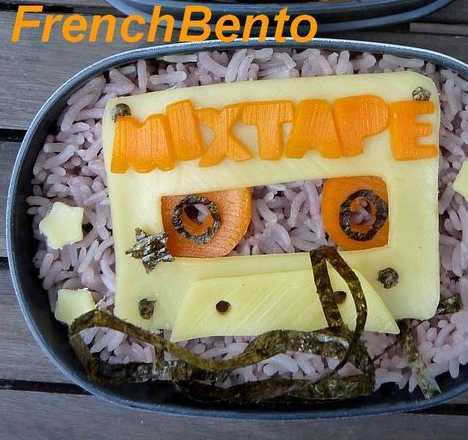 Of her artistic abilities there are no questions: the Mixtape Bento Box is just desserts or at least it calls for them. 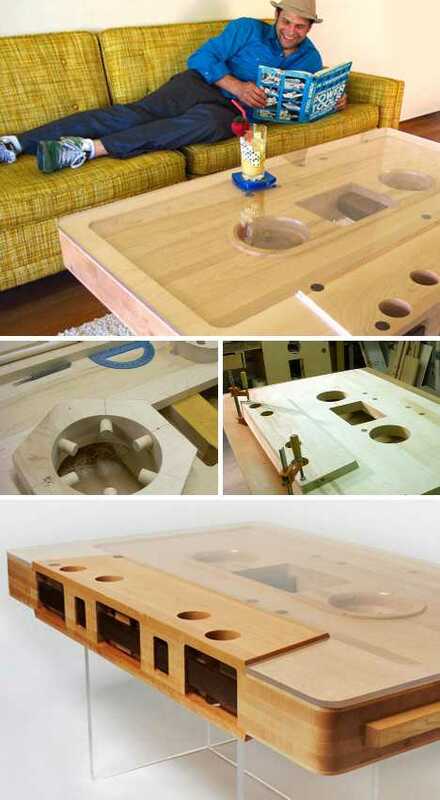 Now here’s a practical demonstration of modern technology taking a leaf from yesterday’s tech trends: the USB Mixtape! 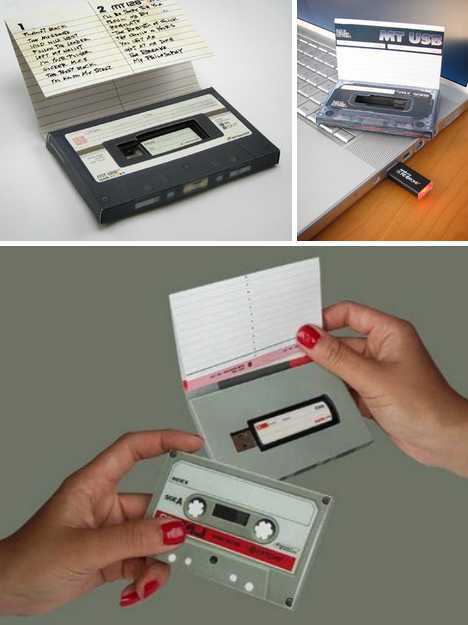 Unlike other flash drives designed to look like cassette tapes, the USB Mixtape combines a relatively standard thumb drive with a modified cassette-styled case. 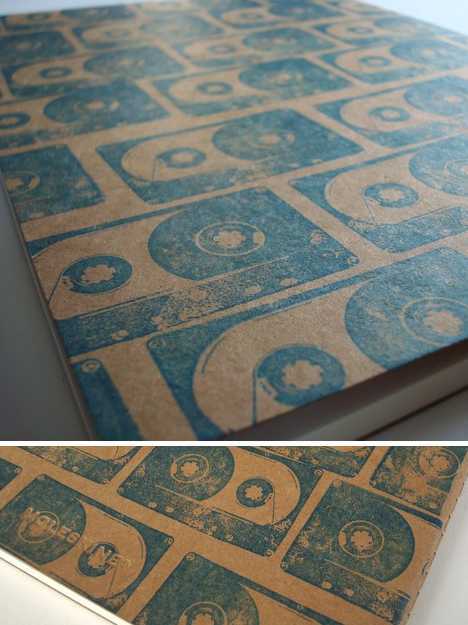 The USb Mixtape offers one other throwback delight to users – the case contains paper sleeves so you can list the music you’ve downloaded onto the USB drive. 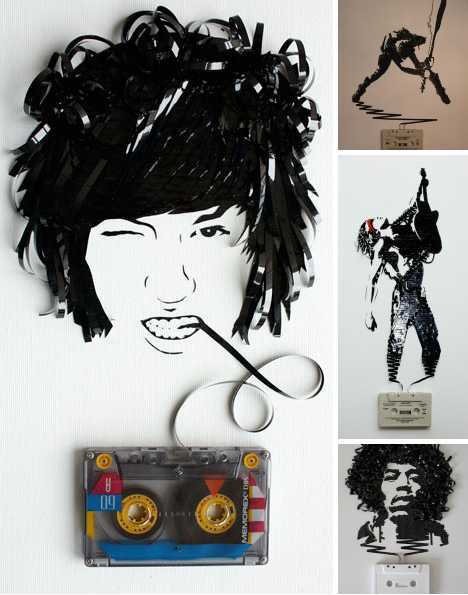 How mixtape-y of them! 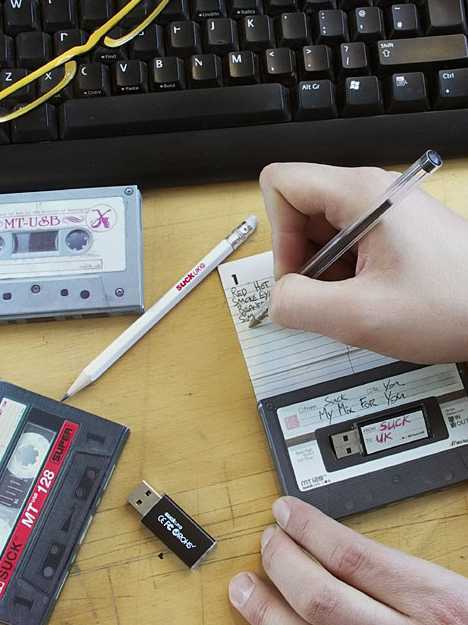 Now if only today’s tech-savvy generation knew what pens and paper are for. Doh! 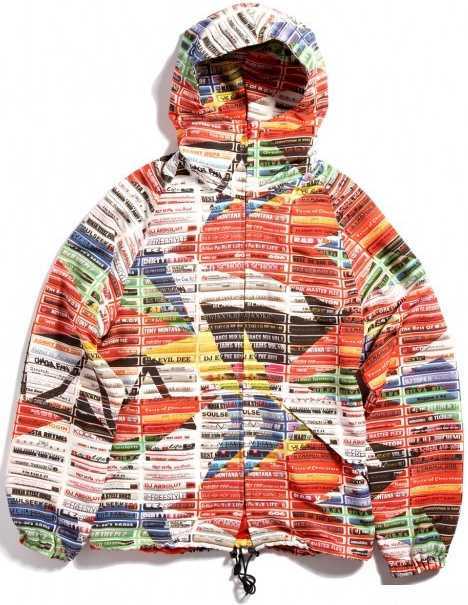 Japan’s APPLEBUM gives new meaning to the term “Tape Sleeve” with their mixtape-print hooded sweatshirts and t-shirts. 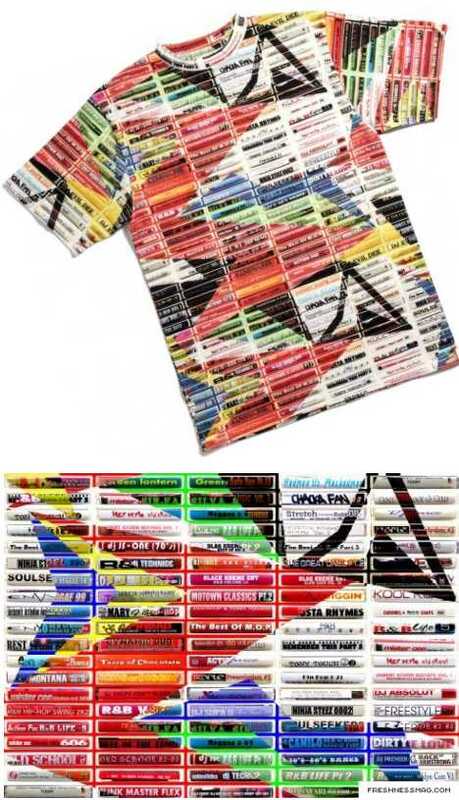 Full-color images of a typical taper’s shelf are reproduced on fabric with just the right level of grunginess. 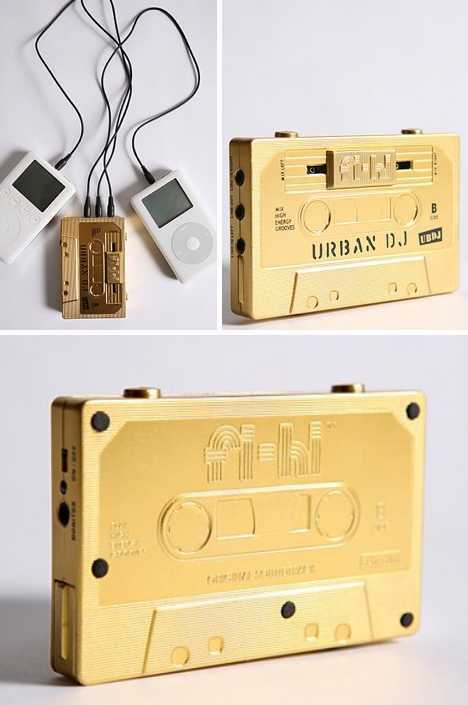 Owning one (or both) of these will send any mixtape junkie into nirvana. Is it so strange that an item of recording hardware made obsolete years ago remains culturally vibrant and instantly identifiable? Not at all, because the mixtape was more than the sum of its parts: it carried the music we loved, chosen by us and only us. 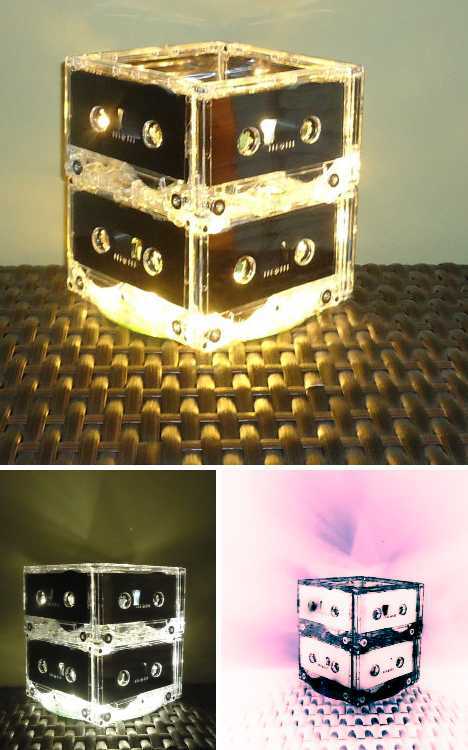 It also carried a bit of our personalities inside its plastic case on magnetized particles fixed to loops of shining tape. Primitive? Maybe, from today’s POV. Evocative? Definitely… and only time will tell if its modern replacements have the same cultural staying power.